Langham’s timeless design, with wide rails, is an honest and enduring style. 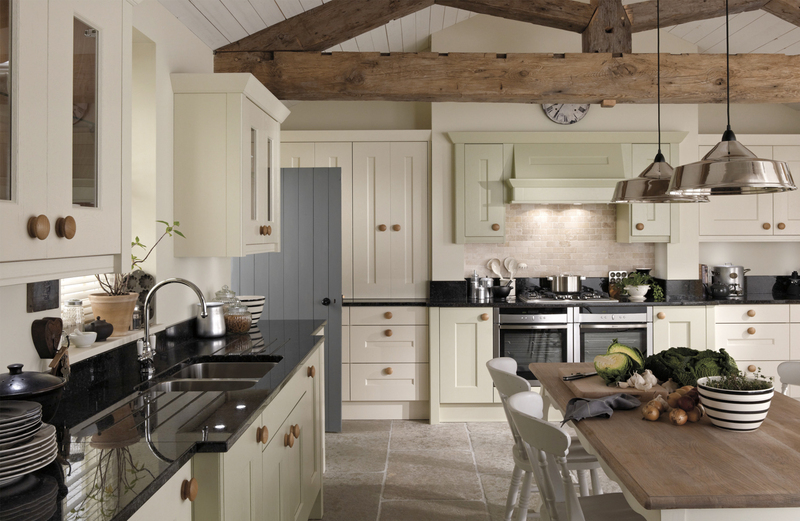 The chunky solid timber doors, combined with its classic Shaker styling, will give you a kitchen which will last for years without dating. Shown here in Alabaster and Sage.